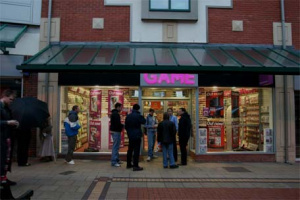 British Retailer GAME Cite PS3 Slim Upgrade Deal As A "Possibility"
GAME Are Considering The Possibility Of PS3 Slim Upgrade Deals. Speaking with our local GAME store's manager today, we've learned that a similar deal is a "possibility" regarding the PS3 Slim. 40GB Playstation 3s currently receive around £150s of store credit when traded in at the store so it will be interesting to see whether GAME launch a promotion similar to the DSi, giving those who trade-up to the PS3 Slim a slightly better deal. We'd happily cough up £80 or so to upgrade our office 40GBs up to fancy Slims.